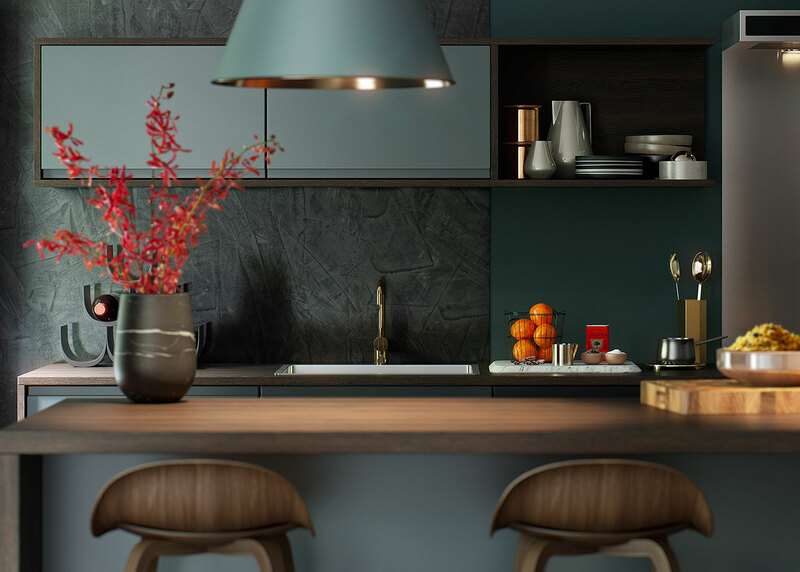 We believe the kitchen is the hub of any home, the heart of creation, where time is cherished with loved ones. Therefore, like any valuable possession, your kitchen needs regular attention to keep it looking at its best and lasting for years to come. We’ve got some super easy tips for helping you achieve this in a matter of minutes, so you don’t have to miss out on all those other things you’d rather be doing. When cleaning timber and veneered kitchen doors use a 5% liquid soap and 95% water solution. Wipe down the doors with a damp cloth, following the natural grain and dry off with a soft clean cloth. Any cooking splashes should be wiped off immediately to prevent staining; harsh chemicals and furniture polish should be avoided. As with timber doors, a 5% liquid soap and 95% water solution is the best option for cleaning. Dry off with a soft cloth for a streak-free finish. To keep your high gloss doors looking at their best we recommend Unika Gloss Surface Cleaner. If you think about what goes on in your kitchen in just one day, how often do you think the worktops get used? How many crumbs, spills and splashes, crafts and crashes take place? How many fingers touch base, how many glasses find their way out of the cupboards and sit content on the worktop, often moving positions as you move. Well. 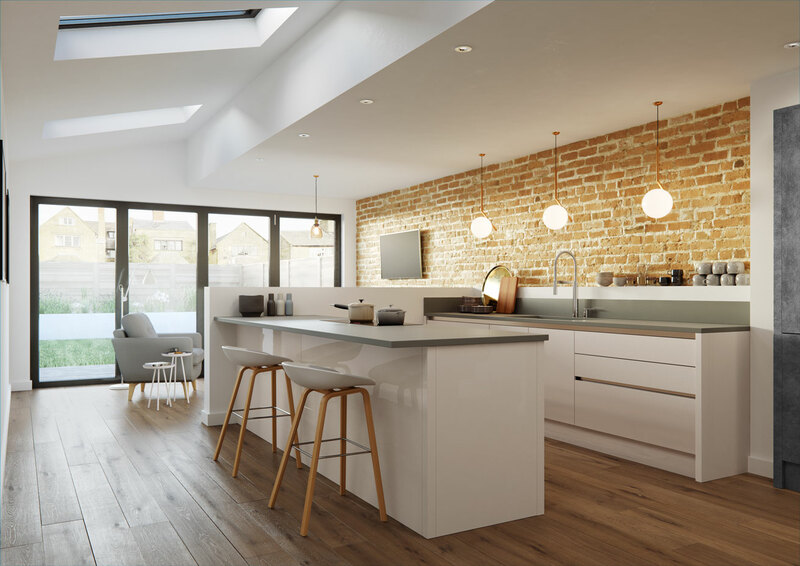 After all this activity your worktops deserve a little TLC – we can all spare less than 5 minutes now can’t we? 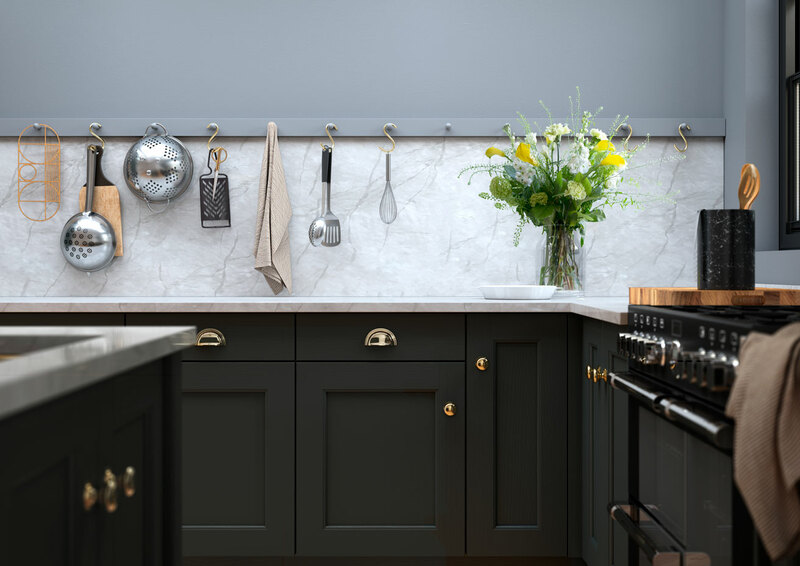 Natural work surfaces require regular maintenance, keeping your timber worktop oiled with a product like Junckers Rustic Oil will ensure it lasts for years to come. Wood has natural antibacterial properties, all you need to keep your surface clean is hot soapy water. Simply dry off with a clean cloth and avoid any harsh cleaners. 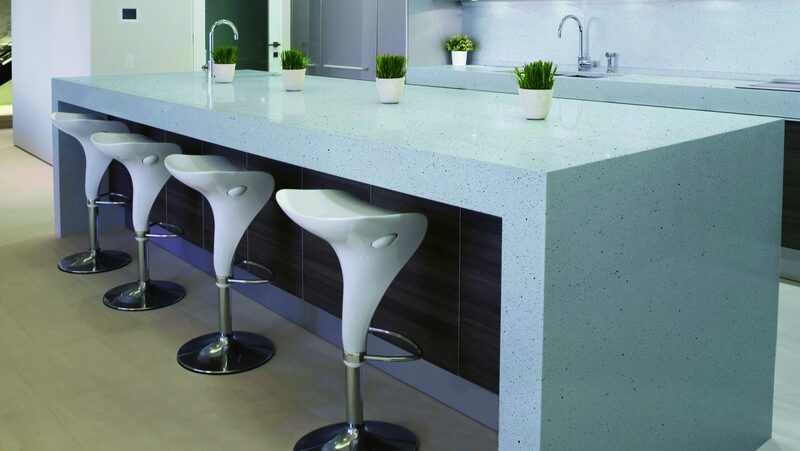 Quartz experts, CRL Quartz told us: “Quartz is virtually maintenance free and can be cleaned with extreme ease. For routine cleaning and to wipe off spills, use a damp cloth or paper towel and a small amount of mild soap or non-acidic cleaner. Once clean, rinse and dry the surface thoroughly.” Quartz surfaces are highly resistant to stains due to their non-porous properties. For stubborn or dried spills, use a non-abrasive cleaning pad combined with a small amount of mild soap or specialised stone cleaner. To keep these surfaces clean and free from bacteria, use a good quality anti-bacterial cleaner. 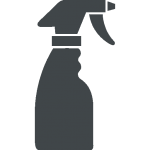 For maximum results Method Products recommend you spray their anti-bac all-purpose cleaner and leave for 5 minutes before wiping away with a damp cloth. For more tips, why not click here to read our caring for your flooring blog.